For the longest time, it was unclear whether the VAR (Video Assistant Referee) would ever see the light of day. But one organization – KNVB, the Royal Dutch Football (Soccer) Association – never had any doubt. For them, the only question was how and when. Thanks to the efforts of KPN Wholesale and partners, the VAR has rapidly become an indispensable resource in the Dutch "Eredivisie". It was around this time that the Association made contact with networking and telecommunications company Ericsson, and they spent several years working from their Hilversum offices. This was during the pilot stage of the VAR system, when the protocols did not yet formally allow for the long-term use of this type of technology. Clearance to use VAR in the competition was given only in 2017. De Jong: “Once the use of the technology had been given the green light, we thought this was an exciting opportunity to implement it across the entire Eredivisie.” He continues: “Our intention right from the start was to work from the KNVB Campus in Zeist (near Utrecht), but we were advised against doing so at the time.” KPN partner Fox Sports offered to establish the connections to the Zeist campus. It was around December/January 2018 that KNVB first made contact with KPN. Initially, this was done through Fox Sports, as they were already a KPN partner for data transmission. The second step was to establish contact with KPN directly (KPN has since become a KNVB sponsor.) De Jong: “That made it even more exciting, because once the technical facilities are in place, you still need to work out the financial details.” Soccer associations in countries like Germany and Italy sign €1.5 billion TV broadcasting contracts, but unfortunately we don’t have that luxury,” De Jong says. De Jong: “The next step was for all the partners – which included everyone from Fox Sports down to the installation company – to sit down and discuss the terms of the deal, to see if we could make it financially viable. KPN was instrumental in those negotiations.” But they first needed to get the go-ahead from the KNVB general meeting scheduled for March 19. “So we told everyone they could start on March 20, but not a day earlier. We also gave them a deadline of mid-July, as we would need to run tests around that time in preparation for the Johan Cruyff Shield game in early August (the Johan Cruyff Shield is awarded annually to the winner of the match between the Dutch National Soccer League champion and the winner of the national KNVB Cup.) “We moved heaven and earth to get that done in time,” he says. Once the KNVB’s general meeting gave its approval, KPN began building its fiber-optic connection. KNVB then estimated the amount of data traffic to be carried across these cables, as the more accurately you can estimate the capacity required, the more cost-effective the connection. “By doing the math, we were able to reach a solution that turned out to be affordable as well,” De Jong says. 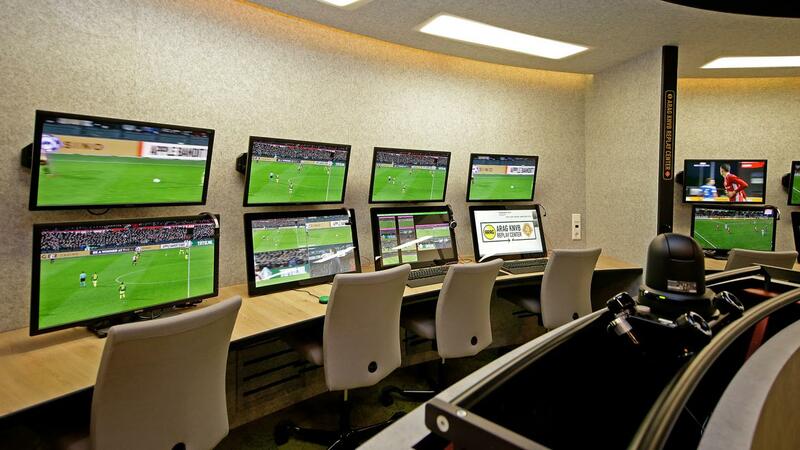 The first matches using the remote VAR hub have already been played, and so far there has been only one where the audio quality wasn’t up to par. As it turned out, this had nothing to do with the new fiber-optic connections; the culprit was the local connections in the stadiums. The necessary improvements are currently being made. De Jong: “We’re not really too bothered by one minor glitch in a total of 27 matches.” By way of comparison: KNVB scheduled more matches in the last three weeks using the VAR than in the entire previous year. All these matches were played on their own sites, using fiber-optic connections. “I can absolutely say we’re more than satisfied,” De Jong says. KNVB’s technical partner at KPN is the Video Transmission department, and in addition it has signed a sponsorship contract and works with teams who provide connections for offices and cell phones. This required that the appropriate legal and procedural parameters be put in place – or, to put it simply, the right people had to agree on the right terms. De Jong: “It really makes a big difference if you’re having fiber installed in a wooded area, a high-traffic area, or straight into your home. One major advantage was that everyone involved in this project thought it was such a challenge and loved being part of it.” He is proud that KNVB managed to bring this prestigious project – the Association being the only organization of its kind to operate these facilities onsite – to a successful close. Without high-quality fiber, we would never have been able to pull it off, so it’s been pretty amazing,” a clearly satisfied De Jong concludes. When asked whether he feels both these goals have been achieved, De Jong replies: “Sure, the fairness of the game has objectively been improved. Thanks to the VAR, players who have committed fouls have been disciplined, penalties have been awarded, and unfair decisions have been reversed.” But we mustn’t jump the gun, as there have been only three rounds of matches so far,” he continues. 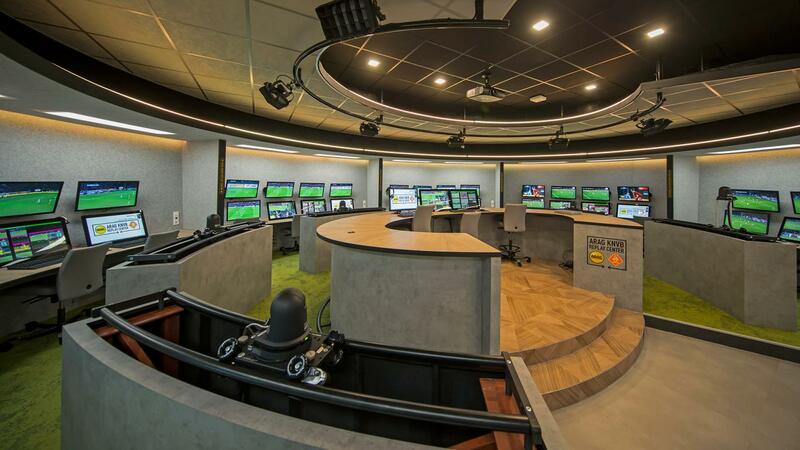 Rule changes and the use of VAR (Video Assistant Referee) technology is one of the five strategic pillars of the Royal Dutch Football (Soccer) Association (KNVB) and part of the organization’s international strategy. As the Association’s Secretary-General (a role he describes as a type of “Secretary of State of the Association”), Gijs de Jong has been in charge of both these areas since 2016. His portfolio of responsibilities also includes changing the rules of the game in order to make soccer viable for the future. More information about Media Transport Services? We can help you make your choice.